A MEMBERSHIP BODY THAT PROVIDES THE BUSINESSES OF THE UK's LARGEST INDUSTRIAL AND COMMERCIAL ESTATE WITH A STRONG VOICE. Park Royal Business Group (PRBG) is a membership body that provides the businesses of Europe’s leading industrial and commercial estate with a strong voice. Park Royal, home to more than 2,000 businesses and over 40,000 jobs, is a major economic contributor to London and the wider UK economy. It’s a centre of excellence for a number of sectors ranging from food & beverages to the creative industries, and includes both global brands and thriving SMEs. Hot Topic Summits — we run roundtable discussions for businesses to share their views, gain knowledge and form a collective voice on issues having a particular impact within Park Royal — e.g., our Infrastructure Summit engages HS2, Transport for London and Openreach. Accessing Public Bodies — we connect businesses with a variety of public bodies through information sessions, consultations and surgeries — e.g. 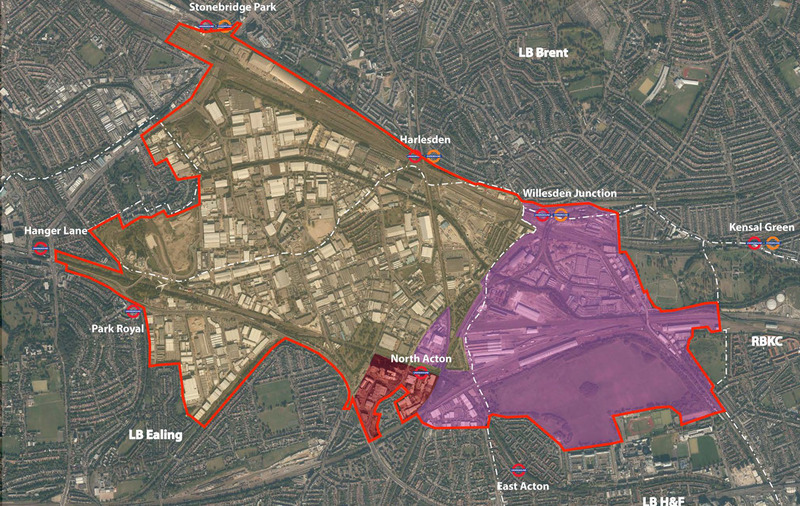 Ealing and Brent Councils, the Old Oak and Park Royal Development Corporation (OPDC), Transport for London (TfL), the Greater London Authority (GLA), Hs2, Crossrail and the local police. Sector Forums and Park Royal Informals — we facilitate discussion and networking amongst stakeholders of individual industries e.g., our Food Group, including both manufacturers and the extended food industry value chain, as well as Park Royal Informals, typically at the CoClub on the first Thursday of each month.